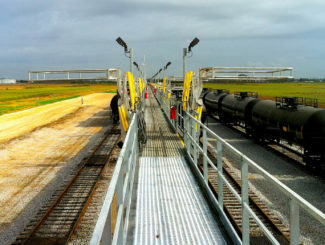 Unit trains, especially common in the crude oil market, consist of tank cars carrying the same commodity from the origin to a single destination. 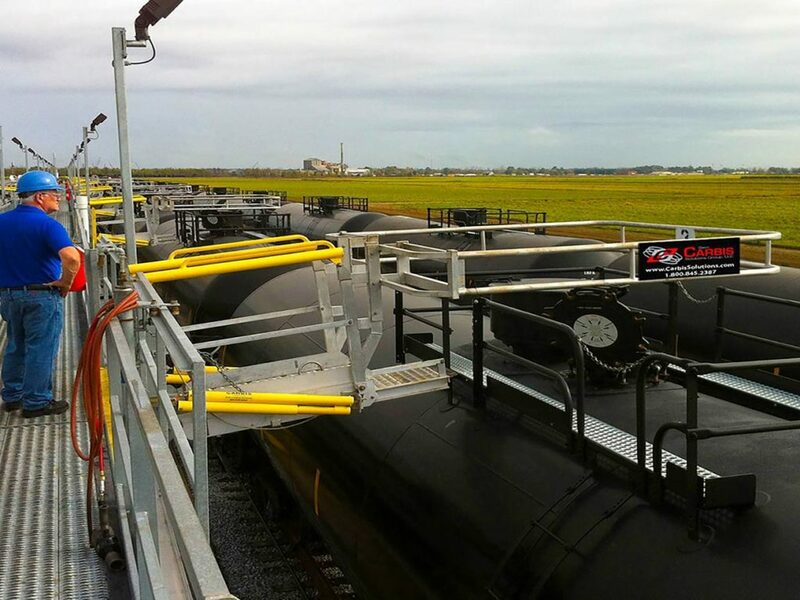 Tank car design and your loading and unloading processes have a significant impact on rail safety and efficiency. 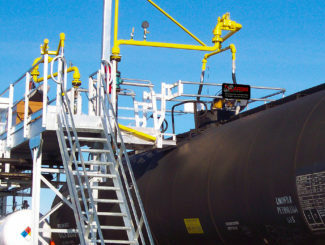 To address these safety and efficiency challenges, you need a comprehensive rail safety solution tailored to accommodate your unit trains, processes and facility needs. 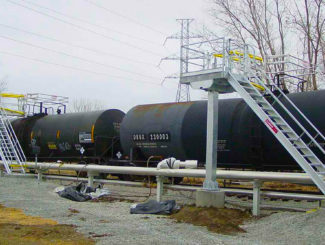 Sam Carbis Solutions Group, LLC can design your Rail Cages to be powered or operated manually. 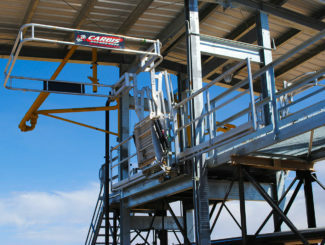 From retrofit to Greenfield, Sam Carbis Solutions Group, LLC systems will always be fabricated and engineered to fit in with the requirements of your specific facility. 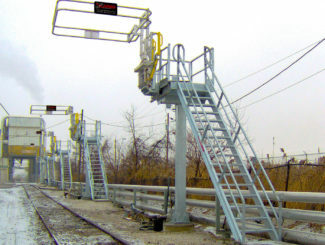 While it is very common in this industry to use a 12″ cage to augment the existing crash box and satisfy the OSHA 42″ handrail requirement, we recommend not stopping there. 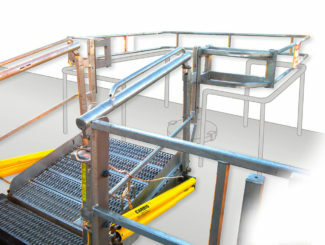 The abbreviated cage does not satisfactorily protect the worker from gaps underneath the railing, thus exposing workers to danger. 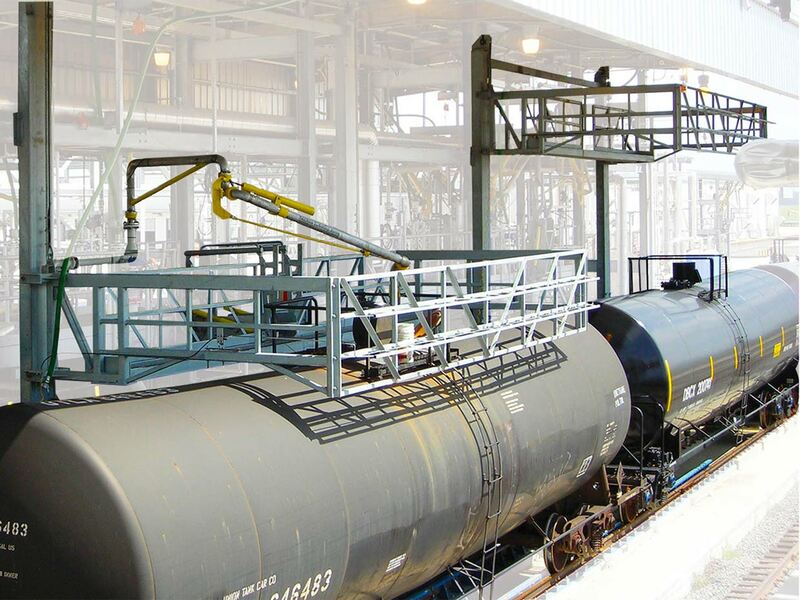 Please give us a call to discuss how to keep your workers safer as they go about their rail car operations.